The non-cancerous Esophagus tumor includes a leiomyoma, a smooth muscle tumor. The prognosis for most individuals having leiomyoma is great. The most common form of Esophageal cancer includes leiomyosarcoma (esophagus smooth muscle’s cancer), carcinoma or squamous cell carcinoma (known as epidermoid carcinoma), adenocarcinoma, lymphoma (lymphocytes cancer), and cancer that has metastasized (spread from elsewhere in the body). Cancer can happen anywhere in the person’s esophagus. 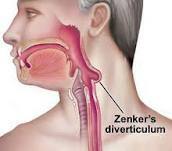 It can appear as a lump, plaque (abnormal flat part), or narrowing of the Esophagus. Esophageal cancer is most likely to occur in individuals with narrowed Esophagus, because they use to swallow a strong alkali in past, such as lye used for cleaning. Cancer of esophagus is also likely to occur in people with achalasia (when a esophageal sphincter fails to open properly), neck and head cancer, and esophageal blockage includes the esophageal web. Alcohol and smoking abuse also increase the risk of cancer of esophagus; and they are the major risk factors for squamous cell carcinomas. 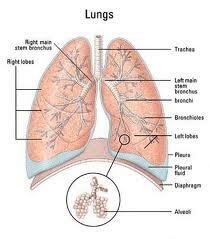 Esophagus lining changes seem to be a cancer forerunner in some individuals. 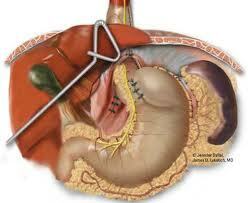 Such changes taking place after prolonged irritations of the person’s Esophagus from reflux (bile backflow) or acid. Because the esophageal cancer tends to obstruct the food passage, the early symptom generally includes swallowing solid difficulties. Over few weeks, the problem progresses, and an individual experiences difficulties in swallowing soft food and then fluids, which result in weight loss. Esophageal Cancer is diagnosed by performing an x-ray barium swallow. The patient swallows barium solution that is radiopaque and therefore showing up on Esophagus x-ray, outlining the obstructions. The defected part must be tested with a flexible viewing tube (endoscope). An endoscope allows physician to obtain biopsy for microscopic testing (called brush cytology). 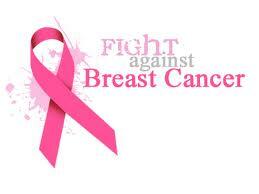 Less than 5% of individuals who have cancer of the Esophagus survive more than 5 years. Many people with this disease die within one year after first symptoms are noticed. Chemotherapy does not cure cancer of Esophagus, but when used alone or in combination with radiation therapies, it can relieve symptoms and prolong survival. Removal of the esophageal tumor may relieve symptoms for a period of time, but is seldom the answer to a real cure. Other treatments consists of dilation of the narrowed esophagus part, placing a tube to keep esophagus open, as well as laser therapy to kill the cancer tissues, which obstruct the Esophagus.